Sunset Trail Groton, VT. | MLS# 4646800 | Vt. & NH Homes for Sale, Property Search in Wells River/Woodsville Areas. 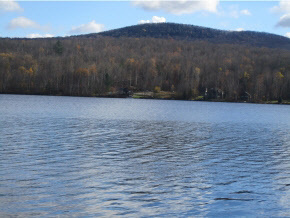 One of a kind .30 acres+- Lake Front lot with 88&apos; frontage on Lake Groton, perc test and septic design available. Picturesque spot overlooking the Lake, not many of these lots left. Owner does have a survey and building permits.